Housing corporations own just under half of Amsterdam’s homes. 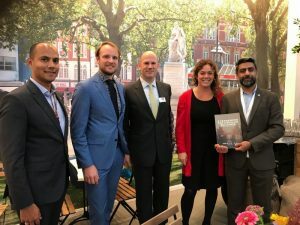 Helping them achieve sustainability goals can drive wide-scale change across the city and contribute to the Netherlands’ plans to build a circular economy by 2050. With over 55,000 affordable rental properties and an expanding social housing footprint, Eigen Haard wants to make its housing stock more ‘circular’. Metabolic crunches the data and suggests the biggest opportunities for impact. Housing corporation Eigen Haard owns 8% of the houses in Amsterdam. This might not seem like a lot. 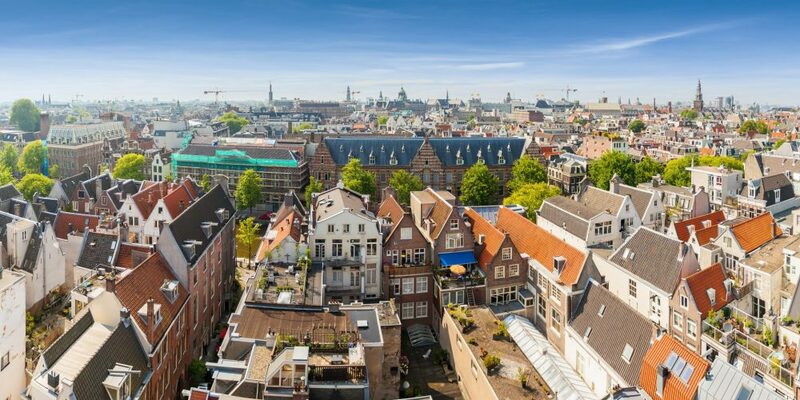 But if we consider that cities and buildings are some of the most impactful sectors in our global economy, and over 90% of the Dutch population lives in cities, urban housing is a smart place to intervene. 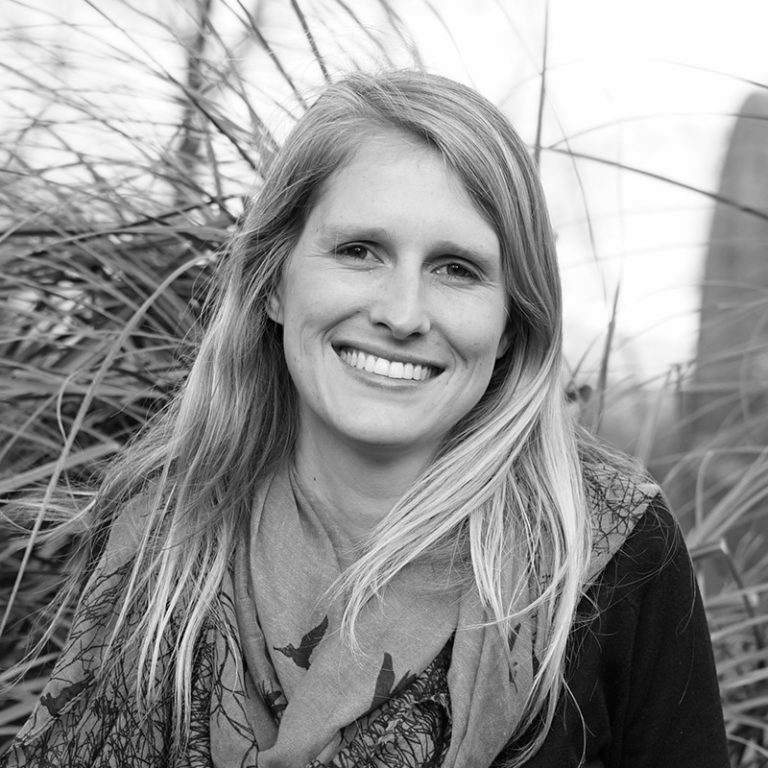 Eigen Haard has developed strong sustainability ambitions in recent years, based largely on increasing scarcity of raw materials, increasing pressure on energy supply, impending local policy changes and global commitments such as the Paris Agreement. But like many companies, they have run into questions when it comes to driving a more sustainable business model: how can they translate their ambitions into concrete actions and which interventions should be prioritized? We worked with Eigen Haard to identify impact hotspots and circular opportunities for their housing stock, the ultimate goal being a business model that is waste-free and regenerative by design. An analysis of the material, energy and water flows – and the different impacts associated with this – revealed the answers to some important questions about where Eigen Haard should focus its circular ambitions. 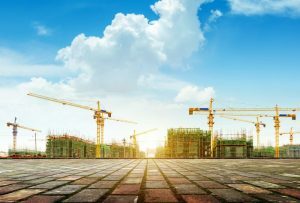 One of the more prominent sustainability challenges that organizations like Eigen Haard should be aware of for the future is the availability of building materials. Growing populations and urbanization pressures mean that resources are likely to continue becoming more scarce and more expensive. Eigen Haard has an opportunity to future-proof itself by exploring local, closed loops for materials. An estimated 4 – 15% of Eigen Haard’s building materials are reused. As recycled materials are much less impactful than virgin materials – for example, the making of a tonne of steel from recycled raw materials costs 75% less energy and CO2 compared to new steel – this value should ideally increase. But where will these reused materials come from? Looking to urban mining as one solution, construction booms in some of Amsterdam’s fast-growing neighbourhoods mean that in the next five years, Eigen Haard’s housing stock will require about 1,400 kilotons of materials for construction, while only 81 kilotons of materials will be released from its demolitions. 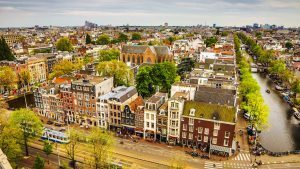 To bridge this gap, the report suggests connecting Amsterdam’s housing corporations through a materials marketplace, where city-wide demand and supply of reusable materials can be managed in a more circular way. Also emphasised is the importance of design for disassembly and optimal reuse in order to make more recycled materials available. While Eigen Haard has worked hard to make its homes and business premises as energy-efficient as possible, there is much room for further intervention. The energy used by Eigen Haard’s housing stock in 2015 is equivalent to more than 218 million kilos of CO2 emissions, which is equal to 62,000 Dutch cars on the road. 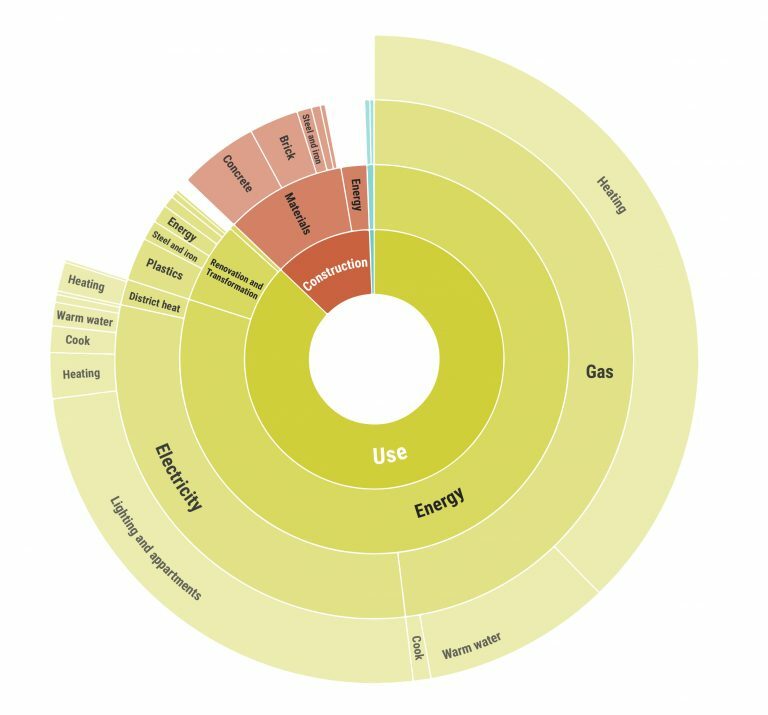 As the chart below shows, this makes up the vast majority of Eigen Haard’s total CO2 emissions. It also contributes close to 5% of Amsterdam’s total CO2 emissions produced by gas and electricity usage. Interventions such as heat pumps could reduce total energy consumption by almost half. Removing the use of gas from homes would also have a significant impact, with natural gas responsible for more than 60% of CO2 emissions, and electricity responsible for only 37%. This intervention also supports the Municipality of Amsterdam’s ambition for all homes to be gas-free by 2050. Other high-impact interventions to consider are solar panels in combination with local energy storage, and local exchange of energy using blockchain technology. There are two key ways in which Eigen Haard can help water to cycle through its homes in a more sustainable and circular way: more efficient waste-water processing, and water saving. Every day, tons of valuable raw materials are flushed down the toilet. By installing new sanitation infrastructure such as vacuum toilets in homes and connecting them to a double sewer, there is huge potential to close nutrient loops by generating valuable phosphates and renewable energy from black water. Vacuum toilets also use significantly less water than regular toilets. Installing them across all of Eigen Haard’s homes would result in a 25% decrease in drinking water consumption. Though it may appear that the primary focus of circularity is on material recycling and an energy transition, achieving a circular economy requires a systemic redesign of our modern industrial system with a great deal of focus on how it relates to human systems. 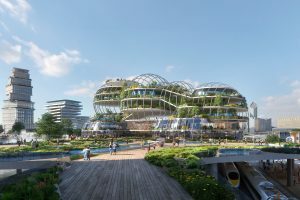 In addition to Eigen Haard’s materials, energy and water flows, there are a number of social interventions which it can consider when it comes to social cohesion and a higher quality living environment, including the installation of edible parks, more green spaces, and improved indoor air quality. To learn more about circular interventions for housing corporations, read the full Circular Eigen Haard report (in Dutch) here or contact Merlijn Blok on merlijn@metabolic.nl.